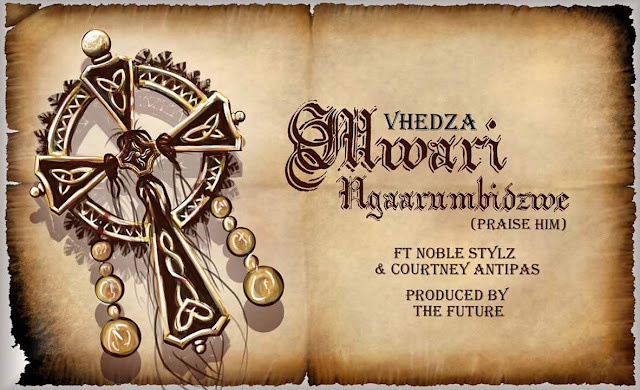 For his latest offering Vhedza enlisted the services of The Future on production,vernac assassin Noble Stylz and gospel spitter Courtney Antipas for feature verses.The boom bap beat straight outta the 90s and catholic hymn sample make an interesting fusion. Vhedza goes in first as he time travels to when he was four going to church with his granny and how easy it was to praise the lord and do good. Fast forward to his adulthood he is still praising for mercies big and small albeit its a little harder. Noble touches on the diversity of religion and conflicts that arise thereof which he says is ironic seeing as God is actually one being.He takes a swipe at false prophets after profits who con his oh so gullible kin.He further chides his people for wanting instant miracles instead of building a relationship with God. Courtney Antipas closes the song simply thanking Jehovah for his grace and declares he will submit to the lord's rule and do what pleases the most high for he doesn't want to be found wanting come judgement day. Vhedza is on Facebook connect with him to get access to his music.